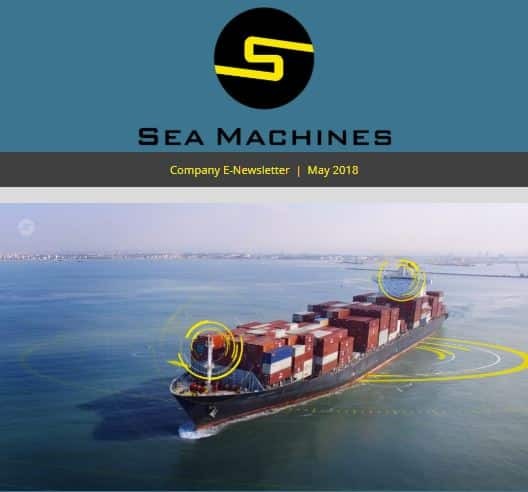 In Sea Machines’ spring 2018 issue of its company e-newsletter, subscribers learn about the company’s new collaboration with A.P. Moller-Maersk to trial Sea Machines’ perception and situational awareness technology aboard a new-build container ship. The issue also welcomes the company’s new hires and shares details about the upcoming industry events it will attend. To read the issue, click here. Subscribe to receive future issues in the footer, below.